One of the primary advantages of PC gaming over console gaming is better graphics (at least, most of the time). As a result, PC gamers with high-end machines are always looking for new ways to up the ante when it comes to improved visuals. For some of those gamers, cranking up the graphical settings to Ultra or High scratches that itch. For others, going all-out is the only option: they install comprehensive lighting mods, texture and mesh overhauls, and even ENBs to make their games look as good as possible. There is a middle-ground, though, where players who want better visuals but don't want to deal with mods and third-party software dwell. To cater to those individuals, some companies release high-resolution texture packs for their PC games post-launch. Bethesda did it with Skyrim, and Warhorse Studios did it with Kingdom Come: Deliverance. 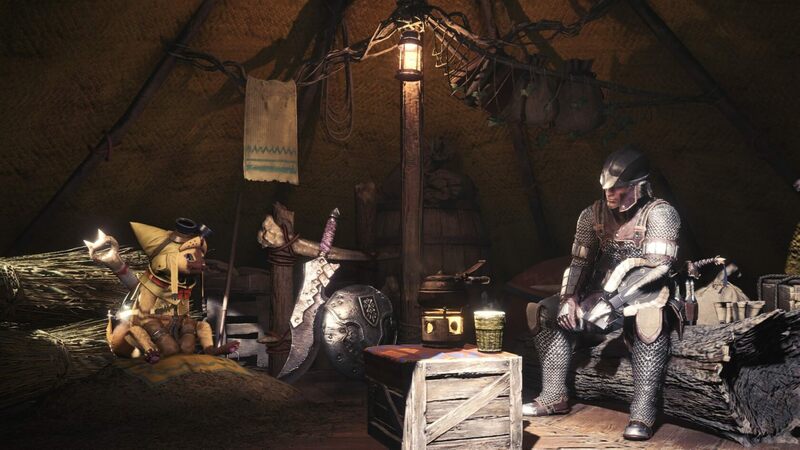 Now, Monster Hunter World developer Capcom has followed suit with Monster Hunter: World. Starting today, Steam users can snag a free "High Resolution Texture Pack" DLC from its official store page. We've included some examples of this texture pack in action throughout this article (pulled from the DLC's Steam store page), and while the difference is more visible in some places than others, the improvements are certainly significant across the board. We don't know what the performance impact will be if you use this texture pack, but based on the minimum and recommended system requirements for the DLC, it'll probably be heavy. Capcom says players should have at least an Nvidia GeForce GTX 1070, 8GB of RAM, and an Intel Core i5 4460 (or AMD equivalents) before giving the pack a whirl. The recommended hardware requirements call for an Intel Core i7 3770, a GTX 1080 Ti, and 8GB of ram. Capcom helpfully clarifies that both of these configurations will net you around 30 FPS, but the latter lets you do so at 2160p whereas the former will only hit that number at 1080p. If you do give the texture pack a try, let us know what you think of it in the comments below. And remember - if you don't like it, you can always uninstall the pack manually from the DLC section of your Steam Library's Monster Hunter World entry.